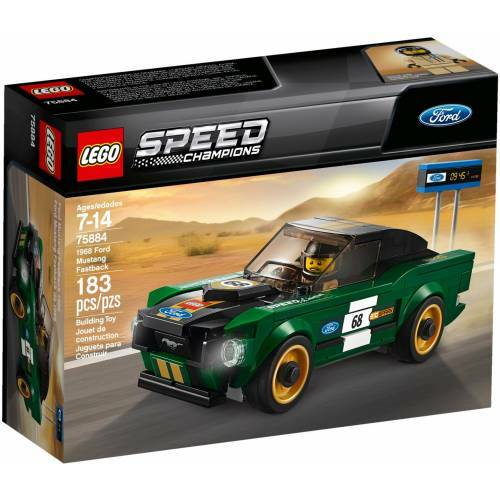 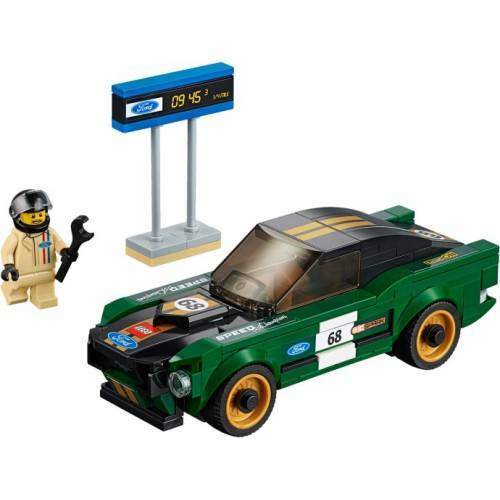 Build the LEGO Speed Champions version of a classic: the 1968 Ford Mustang Fastback. 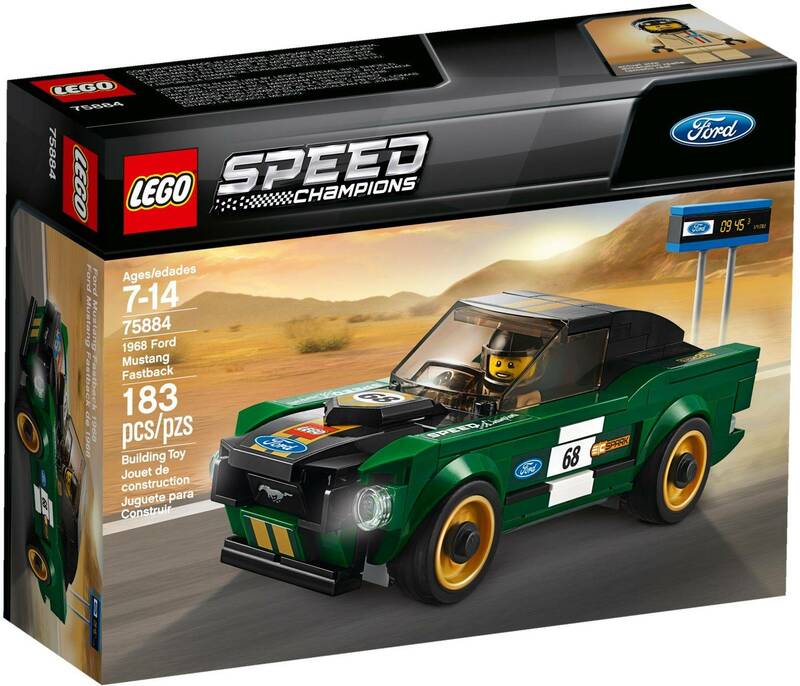 The cart has a cockpit for a minifigure, a removable windshield, wheels with rubber tyres and gold rims as well as other authentic design details and can be perfectly presented and played. 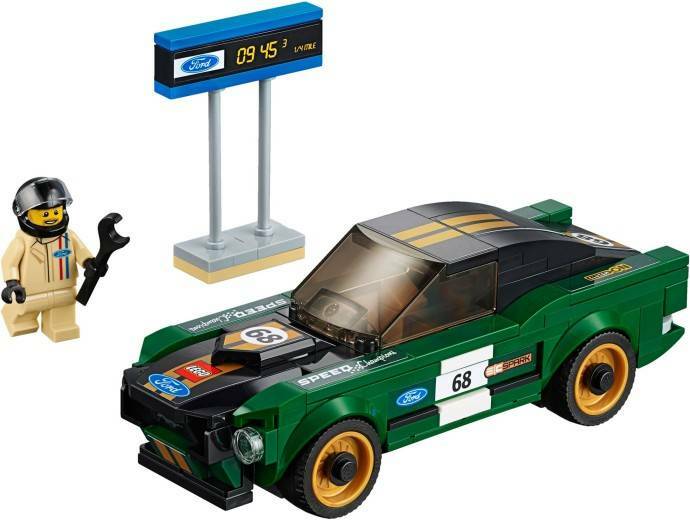 The construction toy includes a minifigure and a buildable timesheet to recreate the right race.